General manager Matt Klentak made it clear on Monday that the unorthodox brand of baseball that the Phillies and first-year manager Gabe Kapler adhered to this season will be back in 2019. 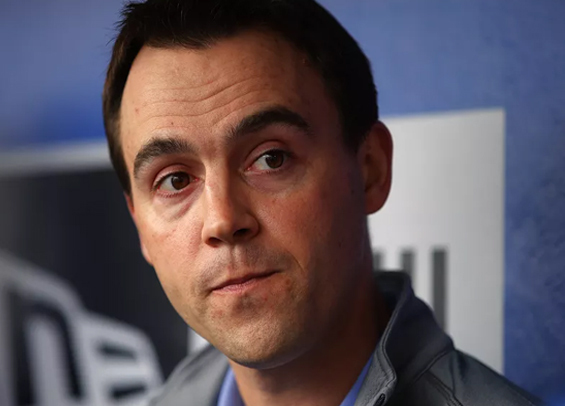 In a 30-minute conversation with reporters, Klentak admitted there's plenty to improve upon over the coming months as the Phillies endured a sixth straight losing season. The 14 win improvement over 2017 was nice, but there's more work to be done. "We know that this club needs to improve," Klentak said. "We are not just going to run back with the same 40-man roster next year that we finished this season with." Though the Phillies appeared to be contenders for the first half of the season, public criticisms overtook the airwaves and Twittersphere as the calendar flipped to August and the club plummeted out of playoff contention. A good deal of those negative comments targeted Kapler and his managerial style that generated jumbled lineups, odd pitching changes, and a heavy reliance on defensive shifts. Pushing the envelope may have an understatement in reference to Kapler who's methods at times last year bordered on frenetic and overcalculated. Despite the criticisms, Klentak believes Kapler's unorthodox approach is a primary reason why the Phillies outperformed their -51 run differential. "This team just rolled out there in a conventional style would not have made the playoffs," Klentak said. "In fact, it would have been worse than this year's team. The fact that we've outperformed our run differential as much as we have I think speaks to the fact that we probably did pretty well in the area of putting our players in the best positions to succeed. As the roster evolves and we have more 'regular players,' I think you'll see that less and less. But the roster this year kind of dictated that that's the way we behave, and we will adjust that behavior moving forward as necessary. "We were projected to win 74, 76, maybe 78 games. That team isn't going to go the playoffs if you just run the players out there and play traditional baseball absent of some incredibly good fortune. That's why I say that when those are your expectations, that's a good year to try things. As time goes on and the roster becomes more and more talented and they gain more and more experience, we will get to a point where we won't need nor want to experiment quite as much. I would expect with the combination of an improved roster next year and an adjustable manager will mean we don't push the envelope quite as much." The Phillies are in a position to make changes this offseason. They have the financial backing to chase after a free agent superstar, plus some in-house talent to dangle as trade bait if the right opportunity comes about. For Klentak, whatever moves he makes over the coming months may dictate his staying power in Philadelphia.